Horst Construction is excited to be a returning sponsor of the 2018 Lancaster Walk to End Alzheimer’s. 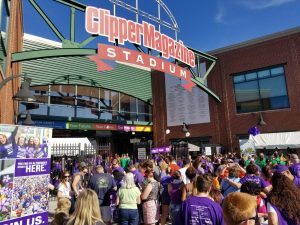 The annual walk, organized by the Greater Pennsylvania Chapter of the Alzheimer’s Association, will be held on Saturday, September 29, 2018 at Overlook Park in Lancaster. Since entering the world of senior living construction in the early 1960’s, Horst has worked with various providers to build everything from Independent Living to Memory Care facilities. We are committed to our clients as well as their residents and strive to stay in touch with the issues that are most important to them. Once we began the conversation with our employees to engage them in the cause, it became obvious that our connection to Alzheimer’s does not end with our senior living connection. The stories started to surface that detail the personal connectivity to this terrible disease. 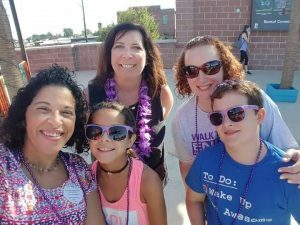 One employee has a mother who has been battling Alzheimer’s for several years; another employee recently lost her grandmother to related complications of the disease; while yet another employee walks in honor of a friend’s parent who lost his battle against Alzheimer’s. Others might not have an intimate connection, but have been touched by stories from someone they know. One such story that has impacted Horst employees is that of our client, GSM Roofing, and their link to the disease. The reasons for participating in and supporting this event vary but our sentiment is the same: every little bit we can do to raise awareness and funding for the cause helps. Our hope is that in joining this community-wide effort, we can get one step closer to a world without Alzheimer’s. The entire Horst Group has joined forces this year to sponsor, support, and participate in the walk. Our employees have been involved through various committees, as well as through support of fun fundraising events such as a food truck luncheon and company-wide bake sale. Alzheimer’s disease is now the sixth-leading cause of death in the United States with more than 5 million American’s currently affected. It is a progressive disease, with dementia symptoms gradually worsening over time. While there is no cure, research continues and there are treatments available that can slow down the worsening of symptoms and improve the quality of life for those with Alzheimer’s and their caregivers. This event is held in more than 600 communities nationwide, with 25 of those walks being held in Pennsylvania. Last year’s Lancaster walk saw over 1400 participants joined together to raise funds and awareness for the cause.